I'm not sure what it is, but parents are the hardest to shop for when it comes to gifts. 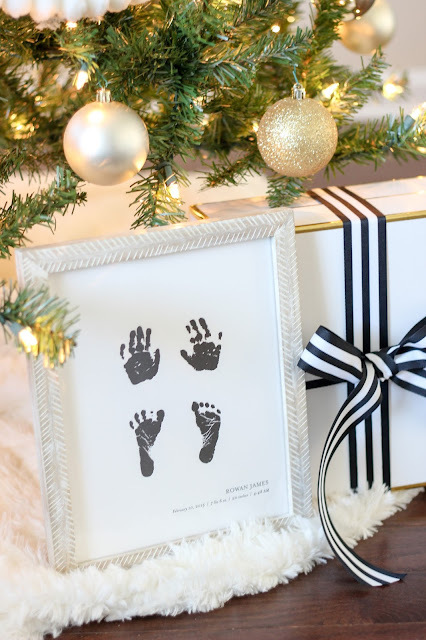 When I saw Minted's new custom art it hit me that something completely personalized would be absolutely perfect! Rowan is their only grandchild and even though he isn't quite advanced enough to draw them a picture yet, we can definitely use his hand and footprints! I love the idea of creating a letterpress or foil print from your own design. 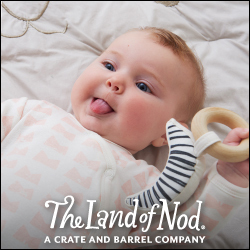 Honestly you will make some mama or grandma's heart so happy with a personalized gift like this! To start, I prepped myself with some paper, a baby-safe stamp, a scanner, and way too much confidence. Turns out, my almost 10-month old wants nothing to do with getting his hand and footprints done. Shocker, right? If we did manage to get him to sit still long enough by bribing him with puffs, he thought it was hilarious to curl his toes or try to grab the paper. It was pretty darn cute but needless to say I had to go to plan B and use his newborn prints. 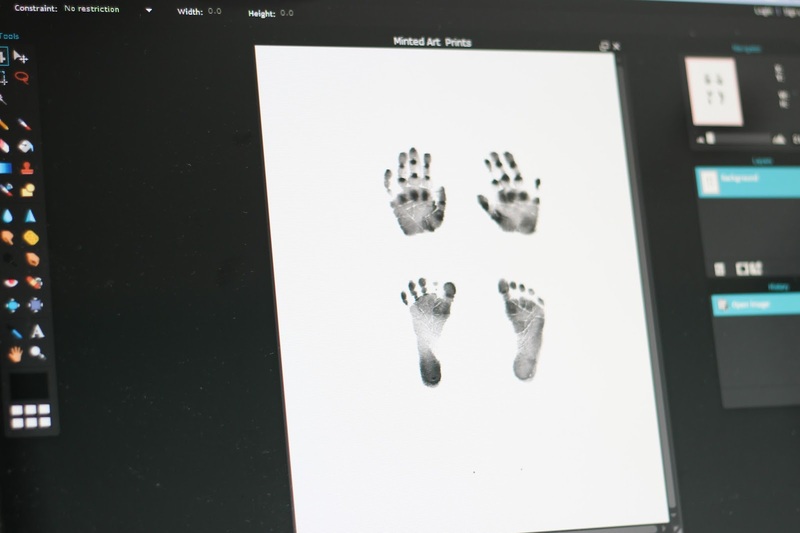 First I scanned Rowan's prints from his baby book, uploaded it to Pixlr Editor (kind of like a free version of Photoshop), and copied just the hand and footprints onto a white background. If you're babe cooperates with the prints or you use a picture they have drawn, you can skip this step and just scan it onto your computer! 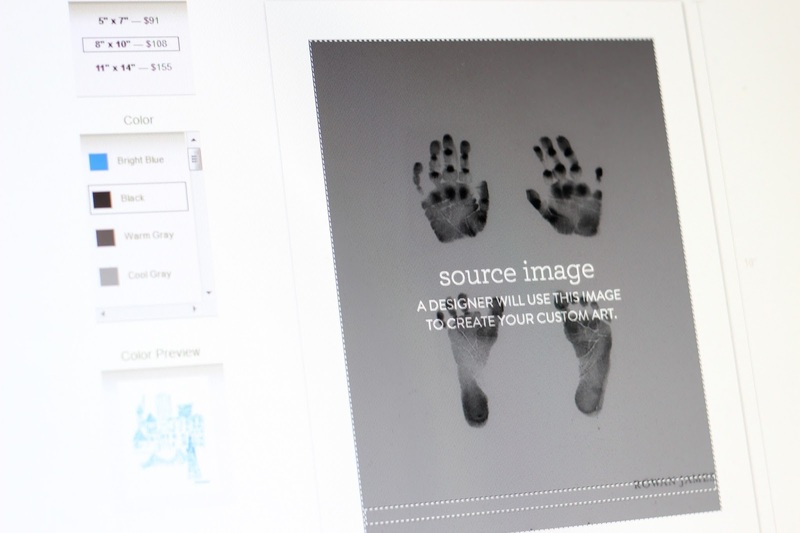 The next step was picking the orientation of my art and uploading the print to Minted, which was definitely the easiest part of this little project. With the letterpress art, you can pick from tons of colors for the print but I went with black to keep with the original hand and foot prints. 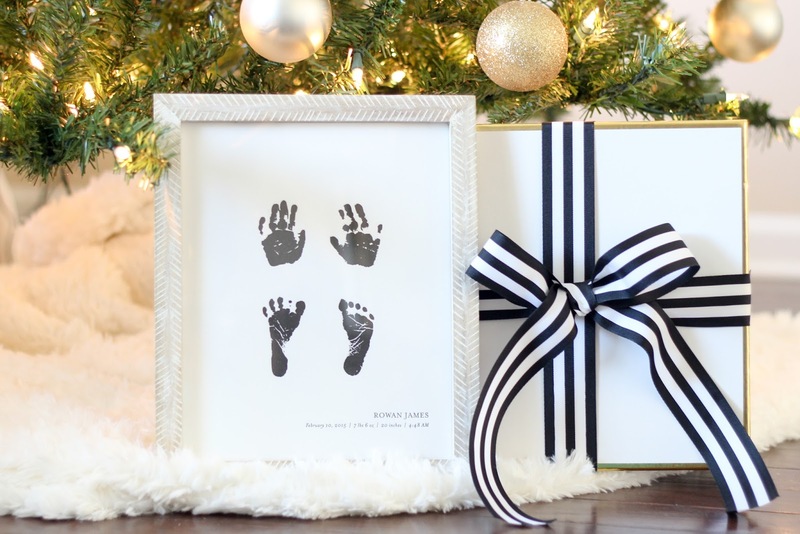 Since these were Rowan's newborn prints, I thought adding Rowan's birth information would be a fun addition to his name at the bottom. So I shared the information in the "Special Requests" section for the Minted design team to review and I'm so happy they created my vision during the proofing process! It's safe to say I'm crazy about how it came out and I'm totally jealous I didn't get myself one! They aren't the exact size of his original prints but they are pretty close and so, so precious. How cute is the whitewashed herringbone pattern on this frame?! I've never purchased a frame from Minted but I couldn't pass this one up. 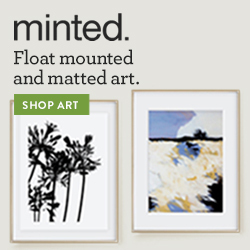 And because Minted is awesome, they are giving you a chance to win $150 credit! Use it for custom art like a drawing, wedding vows, a portrait of your first home, or even holiday cards! To enter, follow this link and enter your information. You have until December 17th to enter. Good luck! 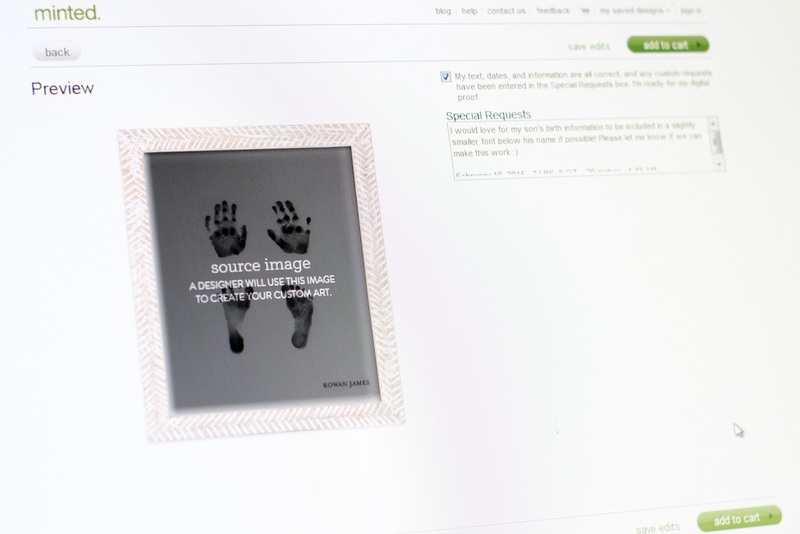 Disclaimer: I was provided custom art by Minted for the purposes of this review. What a great idea for a present! It turned out so well, too! Adore how this turned out! This is a perfect grandparent present! I love how it turned out! Also, can you tell me more about Pixlr? Is it software? I want to try it! !